If the information on the document can be verified at Companies House, i.e. this relates to the appointment of a director, we may be able to provide a basic solicitor certification. Please contact us for advice. 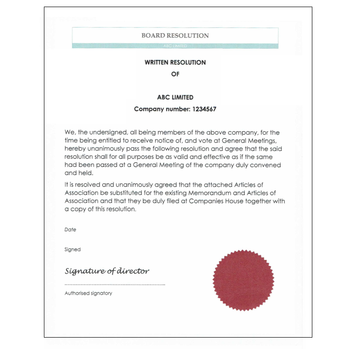 How to order an apostille for your board resolution? The first step is to ensure the document is certified by a UK solicitor or notary public. Following this, simply order the apostille service online and post the original signed document to us.